I am so delighted to have this quilt finish to show. I was inspired by Helen’s quilt that she brought to the South West Modern Quilt Guild meeting last year in May. It was stunning and inspired me to go home and pull out all my low volume fabrics and start cutting, Helen also really kindly sent me an envelope full of her leftovers to add to the variety and save me some cutting. Despite the fact that we had major building works going on in our house I was driven to make 64 blocks and had them finished by the next months guild meeting. After piecing the top I thought about how I might quilt it and I decided (in a moment of madness maybe) to hand quilt it! So I basted the quilt with thread to avoid the additional weight of pins and also the irritation of having to move pins each time I moved the hoop. I chose to quilt inside each log! That’s 12 logs in 64 blocks = 764 logs. I used embroidery floss from stash; using mainly pale colours but a couple of brights too. There was no real plan to which thread colour I used on each block other than I didn’t use a thread that was in used in an adjacent block. It’s taken a while but I have throughly enjoyed the process. I absolutely love the effect the hand quilting gives to the finished quilt; wrinkled and soft. I bound the quilt in a text print from the Sunkissed line by Sweetwater which I think came out in 2010 and I found it at a quilt show in 2014 at a bargain price so stashed 2 metres of it. It’s really subtle but I’m so pleased with how it turned out. I used Jo Avery’s tutorial on single fold binding for the first time; it worked perfectly and I’d recommend giving it a go if you haven’t already. 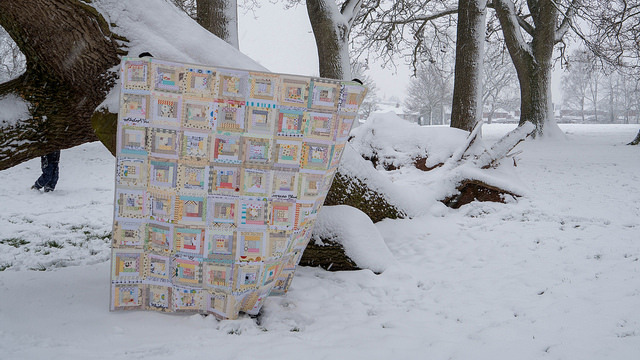 As you can see we took the quilt for a photoshoot on a snowy day – one of the 3 that we’ve had in the last 7 years here in the warm (?) south west of the UK. 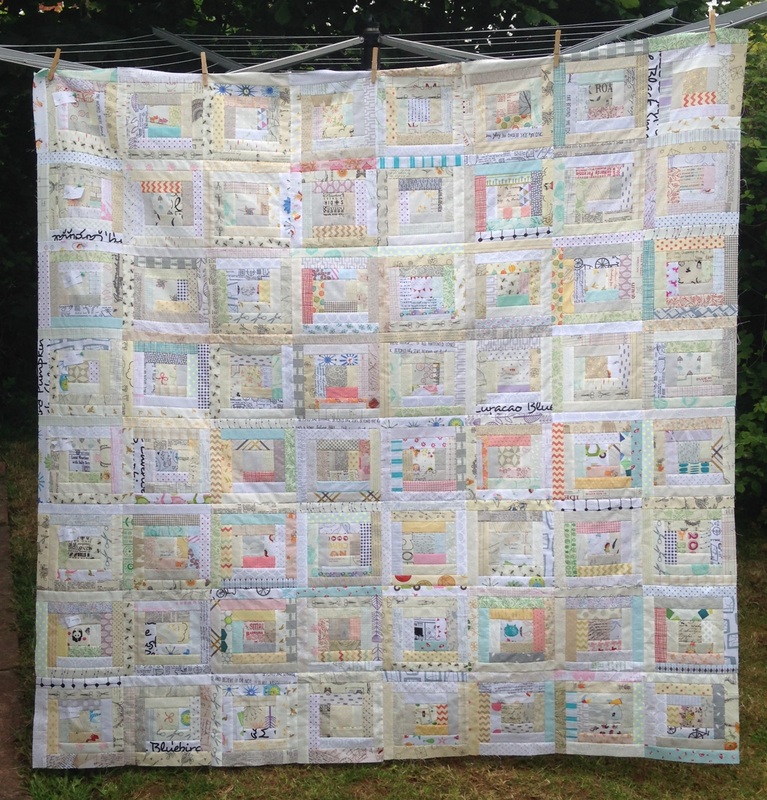 I’m delighted to have inspired some others to make their own low volume log cabin quilt; check out #lvlogcabinquilt on instagram if you want to see more or if you need more inspiration to start one! I sent my left over low volume strips on to Tori and she’s made 46 gorgeous blocks so far. I hoped that I would have finished this by Christmas but some pain in my hands while hand quilting meant I had to slow down so I’m delighted to have it finished even if a couple of months later than expected. It was on my list this quarter so I’m definitely linking this one up as a happy finish. 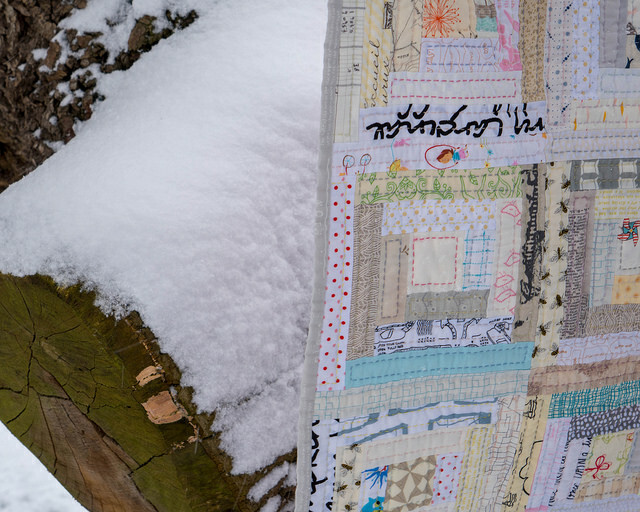 This is so lovely, and your decision to hand quilt it complements the choice of fabrcs really well. 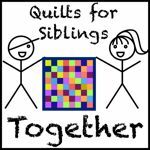 Hand quilting is very relaxing isn’t it, though it does take much longer? Beautiful! I love it! 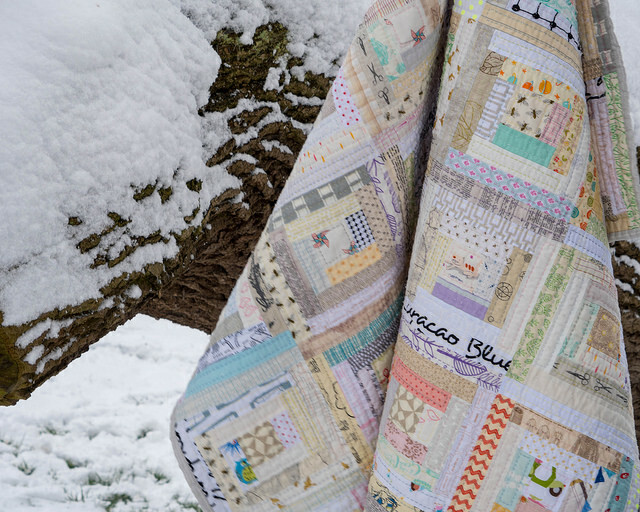 Such beautiful, soft colors and a soft look with the hand quilting. It’s wonderful. Thanks for sharing and congrats on finish!!! 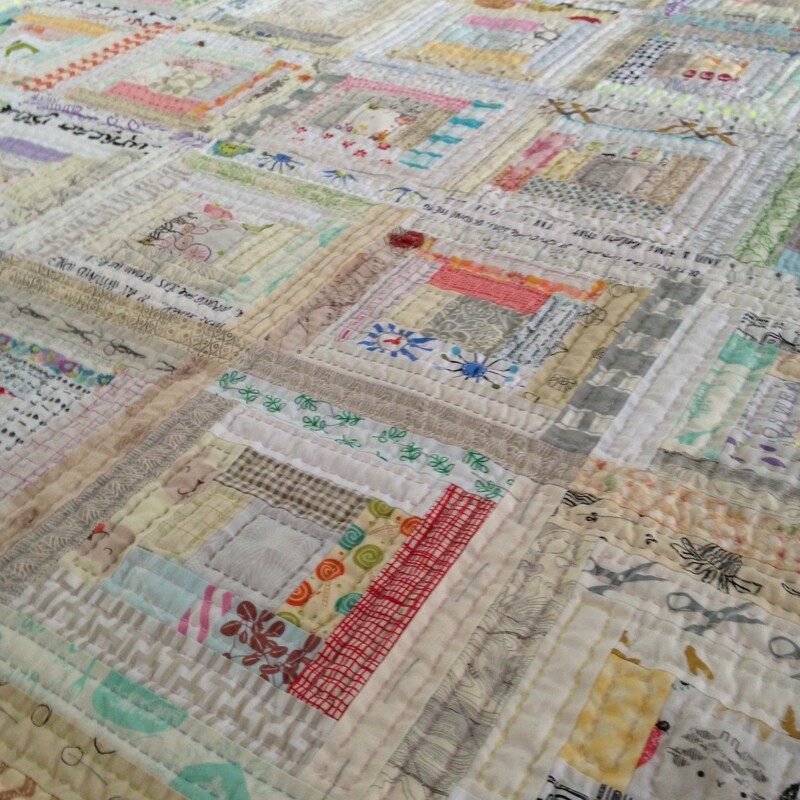 It is absolutely gorgeous, Mary, and I love the hand quilting! It suits it so well. Wow,this is outstanding!! You’ve done a beautiful job. And the hand quilting definitely takes it to the next level. Wel done!! 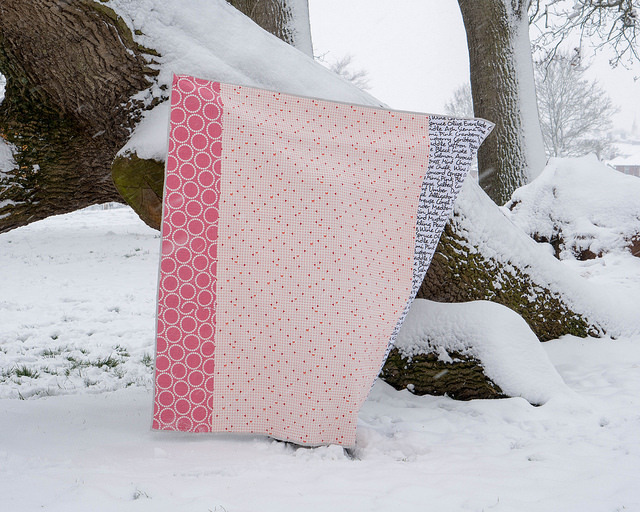 This is a very pretty quilt! 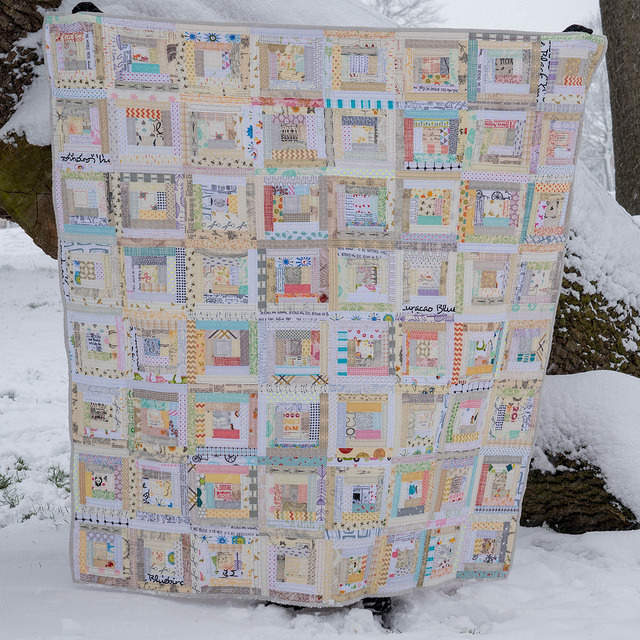 How lovely to have all that hand quilting in it – makes it so much better! And what a treat to get a nice snowfall for its photo op, particularly since you don’t normally get it!